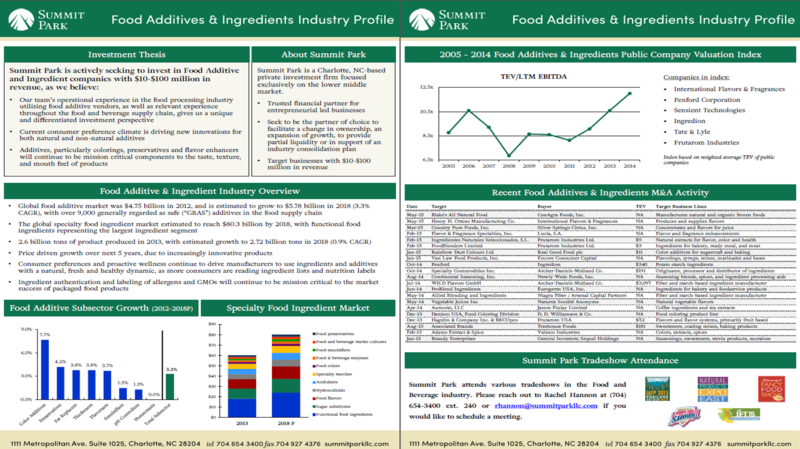 Summit Park will be attending the Institute of Food Technologies Annual Meeting in Chicago from July 12th to July 14th. Please contact us if you would like to set up a meeting. 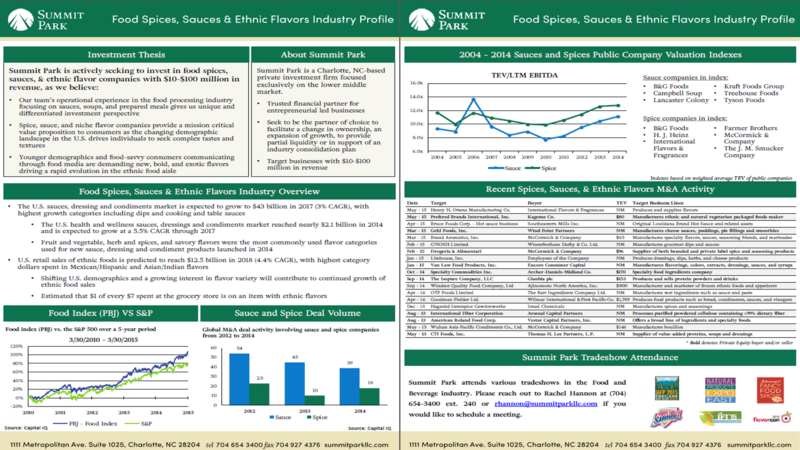 Summit Park invests in private companies with $10 to $100 million in revenues. We believe our team's operational experience in the food industry, as well as relevant experience across the food and beverage value chain, gives us a unique and differentiated investment perspective. We strive to be the partner of choice for owners and management teams who share our mission of building companies of extraordinary values. 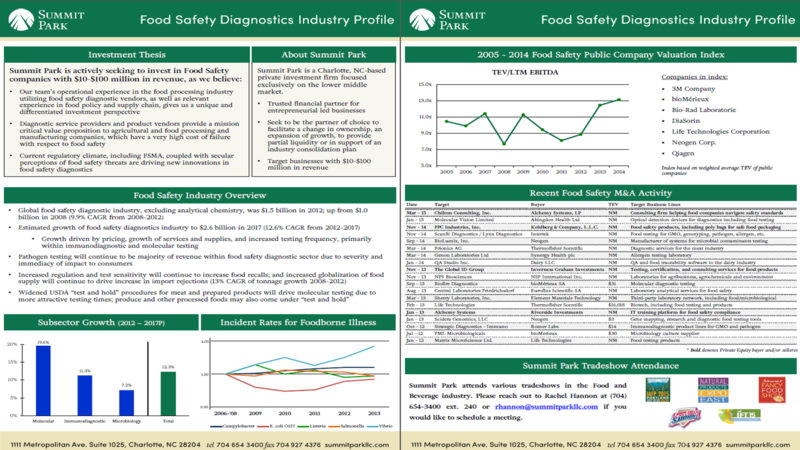 Please find below links to download our research profiles on various sectors in the industry.